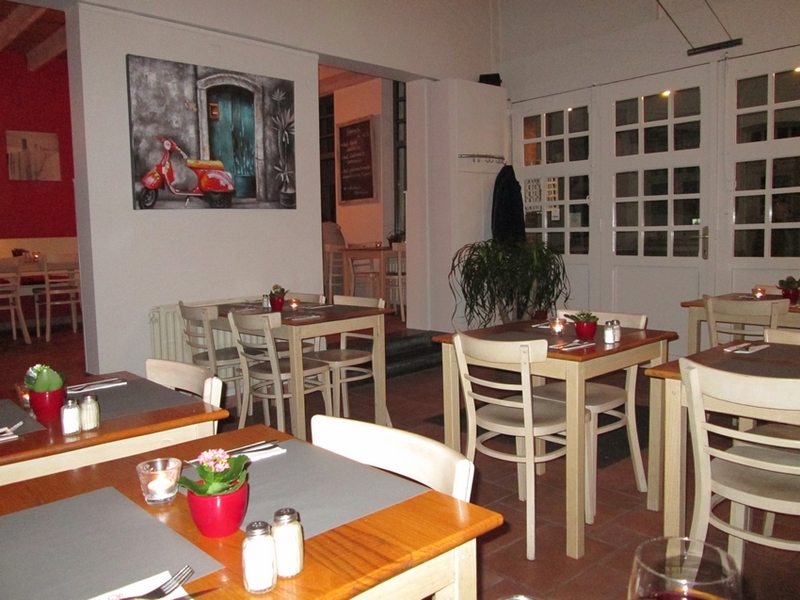 Restaurant review #11Salade Folle is located near the Beguinage (Begijnhof) and the brewery De Halve Maan. We had already inquired via e-mail whether we could get a vegan menu at Salade Folle (specifying what we do and don’t eat) and got an affirmative reply: ‘we can prepare something to meet everyone’s wishes‘. When we made the reservation, I asked again about the possibility of a vegan menu, and it was no problem, we could go the same evening. We were there on a Thursday evening and it was pretty quiet. Salade Folle is a spacious place, with high ceilings and seating upstairs as well. It is more a bistro-style type of place, with pastas, quiches and salades (obviously) on offer. Our waiter was very friendly and knowledgable about animal ingredients in certain dishes. 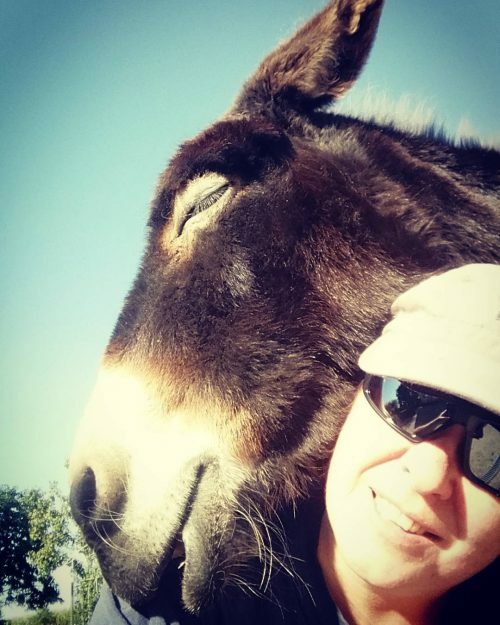 He also did not have a problem to go double check for animal ingredients for some items, which gave us a reassuring feeling. All in all, our menu options were quite limited, but at least we each could get a different main dish: a pasta with vegetables (14€) and a mixed salad (14,50€), for which I gave them carte blanche. We did not opt for a starter, as our only option seemed to be another salad, and the soup of the day was non-vegan (cream mushroom soup). Small lapse. The salad came with a decoration of honey on the side of the plate, which he fortunately mentioned upon putting it on the table (‘I presumed honey is ok?’), and not leaving me to eat it. He swiftly returned the dish to the kitchen and came back shortly after with a plate without the honey. 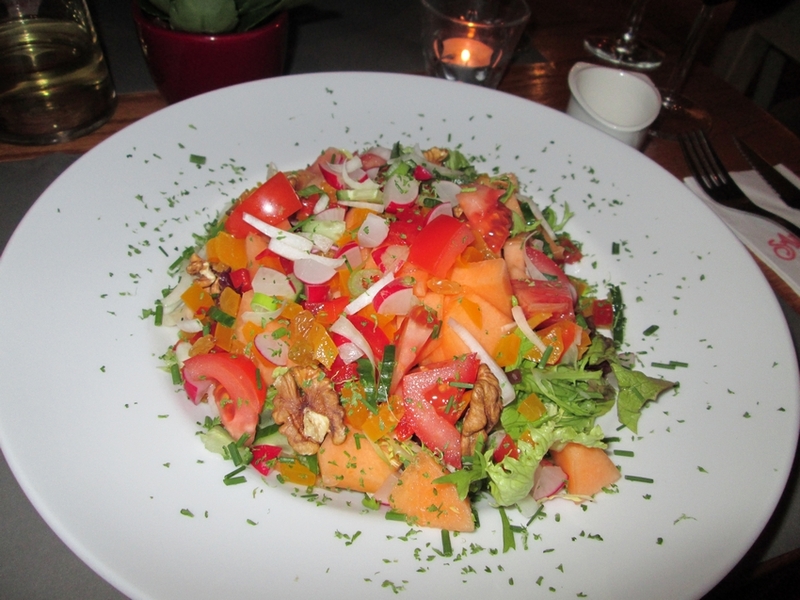 The salad was nice, with walnuts and a variety of vegetables and melon. We asked whether we could get some dessert and he mentioned the sorbet did not contain any animal ingredients. 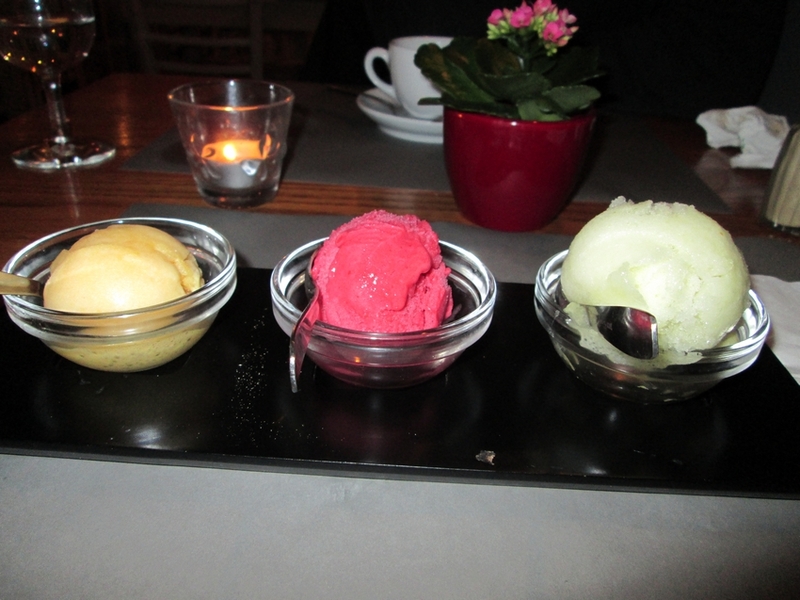 Normally the trio of sorbets come with cookies of eggs, but attentively he left those out. 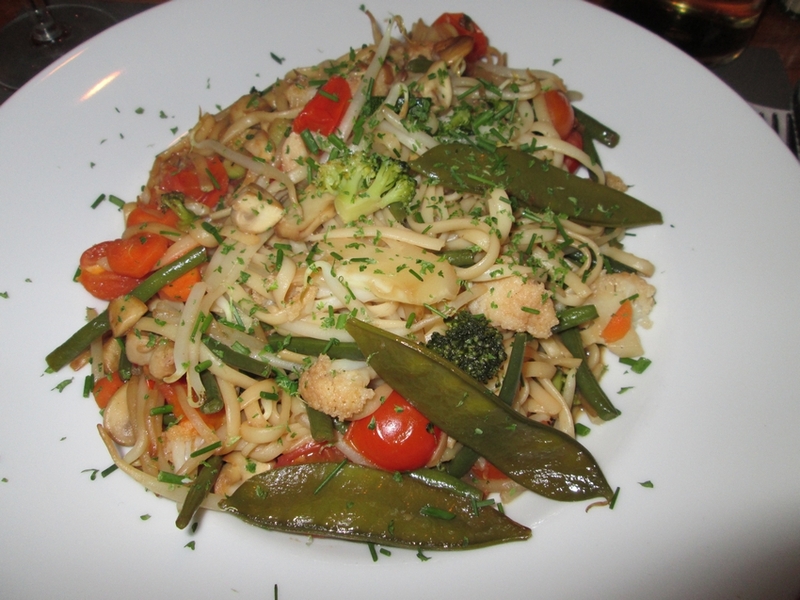 The vegan dishes we had are your typical ‘pasta with vegs’ and a salad. It is not haute cuisine, nor an enriching culinary experience, but you are pretty sure you get a 100% vegan meal. Which is upon looking at the dishes on offer at the other restaurants in the area around the Beguinage, a rare occasion.